Please install Mongoose OS based on the description provided by Mongoose OS. Start Mongoose OS based on the instructions provided by them. 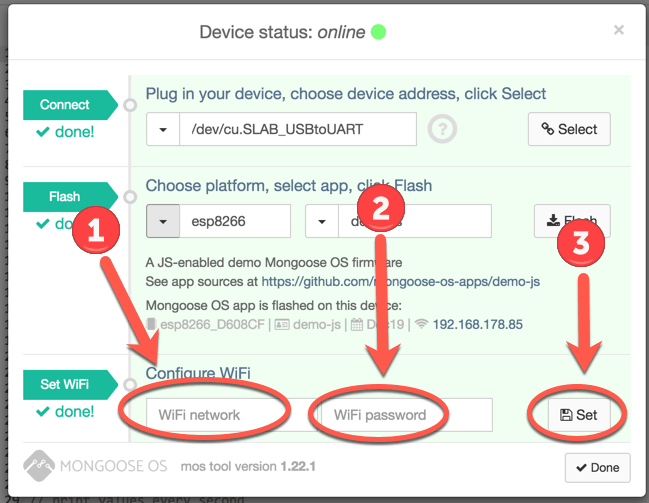 Select the proper Port for your NodeMCU and connect Mongoose OS with your NodeMCU. You can flash sample code to your ESP8266. Please do so, as we will be extending the sample code to do our bidding. I will use the NodeJS based sample, but you can use the “C” demo as well. Last thing to do is to connect the ESP8266 with your WiFi. There is more features in the flashed code, but that is for you to discover! 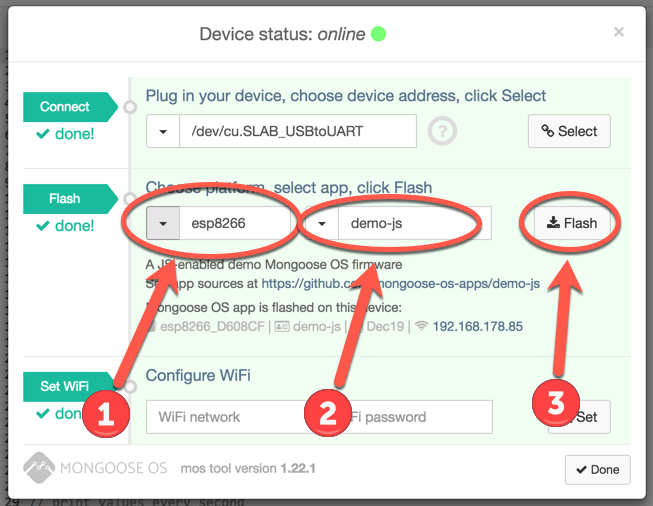 As this demo is not about teaching NodeJS or ESP8266 programming, we will look into the basics of handling the Mongoose OS Web-UI. To do this, we will stop the Blinking of the ESP8266 LED. you will also have to adjust the following line, as value doesn’t exist anymore. There are more lines of code covering the Blink-LED, but for this intro exercise, this should suffice. After having changed the code, we obviously have to save it. There are two options to update the code on the ESP8266, a slow and a faster one. Let’s look at the faster one together, so you can find the other one yourself. 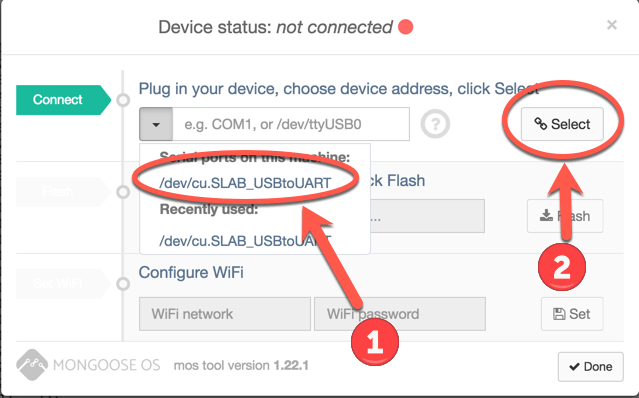 In the Log-Window of Mongoose OS Web-UI you see the updated File being uploaded, and the ESP8266 being rebooted to start the new firmware. they are updates to the ones from the sample and are extended by code needed to read the data from the DHT22 sensor and output this instead of free_ram and total_ram. In the next blog we will cover how to prepare Google Cloud IoT Core to interact with this new Sensor.